Let's chat about "The Little Red Hen", shall we? It's a familiar story to you. The hen asks for help planting/sowing/milling/baking, no one wants to help, but everyone wants to eat the bread she makes. I find this story to be so aligned with life. Everyone wants the end result, but many do not want to work for it. It's a great life-lesson for kids, that working hard and enjoying the results is important. Helping your friends when they ask is important. Overall helping, is important! You might even discuss with your students the nationwide movement to get people involved in service (click link for article from AP) in their communities on Saturday. "The Little Red Hen" is a classic, and it gives students a ton of lessons to learn. The classic book is great to read, and the youtube video from Speakaboos (found HERE) is great to watch! 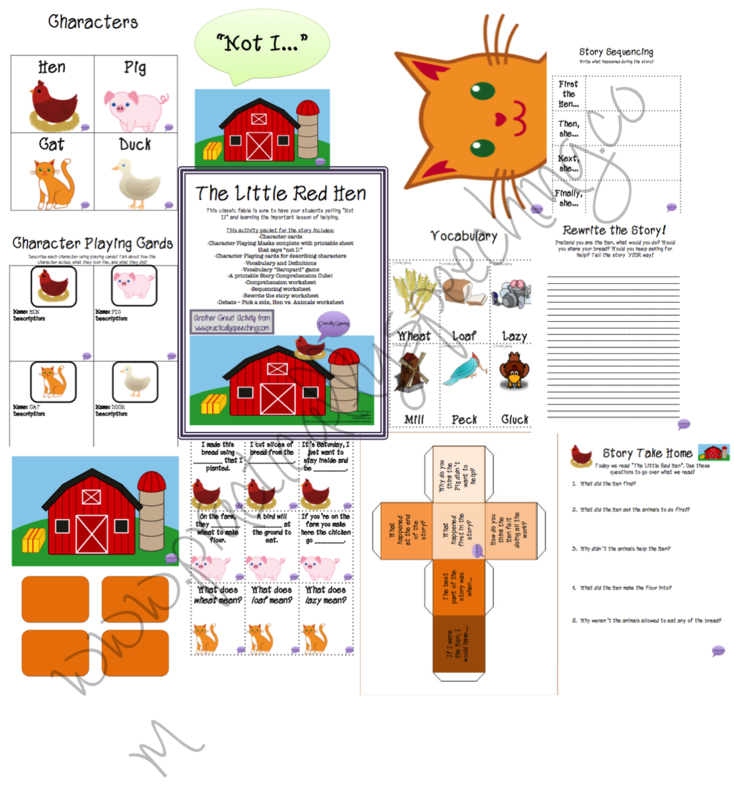 Download this activity HERE and download the free sequencing cards HERE.